Yesterday, we looked at state lotteries in general, but today our focus is on our neighbors: Florida, Georgia, and Tennessee. Each state began its lottery with promises that lottery proceeds would fund some aspect of education. 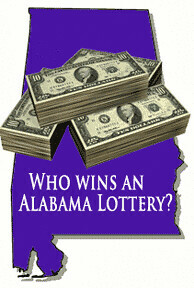 The Georgia lottery is particularly popular: lottery proponents frequently cite the Georgia HOPE scholarship program as a model for Alabama to follow. So, let's look at how the lottery works in those states and examine both the successes of the programs and the problems. All have benefited education in their states. Yet all face funding crises today due to flat or declining lottery revenues and skyrocketing college tuition costs. When the programs were created, legislators were farsighted enough to set up reserve funds for just this sort of situation. However, expecting elected officials to ignore hundreds of millions of dollars just sitting around is like expecting my cat to just “ignore” the mouse that’s right in front of his nose. When times were good, state legislatures expanded the programs – particularly the scholarship programs. Georgia, in particular, went from merit scholarships for students below a certain income to merit scholarships for everyone. And it's now dealing with a severe funding crisis in the HOPE scholarship program. We need to learn an important lesson from our neighbors' lotteries: don’t over-promise benefits, protect the rainy day funds, and never assume that past performance guarantees future results! The Bright Futures scholarships began in 1997. Since then approximately 450,000 students have used the program to pay for college. A Chronicle of Higher Education study found that Florida, while among the largest states, ranks 44 out of 50 for state appropriations. Two years ago, Florida ranked No. 27. The state's revenue shortfall of more than $2-billion is making finances worse. USF will end the budget year in June having lost about $26-million. UF, the state flagship, will lose $40-million. That means it will be harder than ever to get into one of the 11 public colleges, especially the top three research institutions of UF, USF and FSU. It means more high school graduates will turn to community colleges for their first two years – yet they might not get into a four-year Florida university to finish the degree they started. Meanwhile, the Bright Futures program is also having problems. The state is considering funding cuts and eligibility changes to keep the program solvent. Mindful of the issues with Florida’s lottery and other state programs, Georgia decided to try something new. When Georgia’s lottery began in 1993, state legislators were determined not to let what happened in Florida happen to them. Florida earmarked their lottery proceeds to enhance education but soon found that lottery proceeds to education were simply replacing general revenue funding for education. In fact, before the lottery began in 1988, 60 percent of Florida’s general revenues went to fund education, and by 1996, only 53% of general revenues went to education. Georgia developed an innovative program designed solely to provide a service that the state hadn’t previously supported – pre-K and college scholarships. The goal was to use the lottery proceeds to provide new services without starving programs already in place. It was a “better way to earmark.” This is important: remember yesterday’s post that noted overall state support of education in Ohio actually fell as a percentage of state revenue after the state began an education lottery. HOPE essentially made higher education free for al Georgia students who graduate from high school with a B average or higher. The only catch was that they had to attend an in-state public college or university and maintain a 3.0 grade point average. The program was so successful at educating students – and keeping Georgia’s best and brightest in the state – that over a dozen states (including Tennessee) modeled their education lotteries after Georgia. Unfortunately, now the program seems to be a victim of its own success. The lottery made so much money in the early years that a huge reserve fund grew and grew. And grew. So did the benefits paid. When HOPE was created, there was an income limit on those who could receive the scholarship. Two years later, when lottery sales exceeded expectations, the cap was removed, to the delight of middle-class voters. The idea of going back to an income cap is a political hot wire. In 2004 however, Georgia did change eligibility requirements, which reduced the pool of eligible students by about a third. It wasn’t enough though. This year, Georgia will have to draw on its reserve fund for the first time to cover tuition, but those funds won’t last forever – not with tuition rising at a tremendous rate: tuition costs have doubled since the program began 17 years ago. The Georgia Student Finance Commission estimates that the reserve will be depleted by 2013 unless the program is changed. HOPE expenditures will exceed lottery funds by $243 million this fiscal year and $317 million next year, according to projections from the Georgia Student Finance Commission. Options include scaling back the program by providing a flat amount of money instead of full tuition (other states already do this), instituting income caps, and raising academic requirements. None are popular. Tennessee’s experience mirrors Georgia’s. Not surprising since the Tennessee HOPE scholarship program (implemented in 2002) was based on Georgia’s lottery plan. Initially, Tennessee’s lottery was so successful and the reserve fund so large that in 2008, the Tennessee Legislature diverted approximately $160 million from the scholarship fund to fund a plan to make public schools more energy efficient and pay for pre-kindergarten programs. An analysis of the lottery scholarship program projects shortfalls between expected lottery proceeds and the costs of scholarships of $17 million in the school year about to start, $22 million in 2011-12, $21 million in 2012-13 and $19 million in 2013-14. The deficits are far less than projected last year, but are still eating into a $319 million lottery reserve fund built up in the early years of the lottery when scholarships were being phased in. The value of the scholarship benefit is also falling as tuition costs in Tennessee rise: in 2007-2008, the scholarship grant covered 77% of average tuition. This year, it will cover 63% of average tuition. Unlike Georgia, Tennessee implemented a plan that provides a flat-rate grant to students who qualify and this has protected the program somewhat from rising tuition – something that's quickly draining Georgia's program funds. In Alabama, we have 3 models to study and it’s encouraging that each state looked at other education lotteries and tried to create programs that would better serve students and be financially secure. That’s exactly what we need to do in Alabama when we begin designing a state lottery. We don’t need to look at the lottery as a panacea for students: at best it will provide a stipend that partially covers college costs – and certainly something is better than nothing. However, if the legislature and Alabama colleges and universities can’t do something to mitigate the double-digit tuition increases, then we could find that our lottery scholarship program on the same shaky financial footing as Alabama’s PACT program. So Florida's merit-based scholarship program has been so successful the universities can't meet the demand — with current funding. And the Georgia program started out with income limits, but those were lifted — now they have a funding crisis and need to put them back but it's a political trip wire. And Georgia students have always been required to have a B average to participate. Tennessee only provides partial scholarships to participating students and the amount varies depending on the money available. That sounds like the only way to make sure the program stays in the black. Does Tenn. have income and/or GPA restrictions on scholarship recipients? The idea being kicked around for Alabama is a system where there are no GPA restrictions — and I haven't heard anything about income restrictions either. That can't be compatible with anything other than a partial scholarship — which leaves students to come up with what may very well be a large shortfall, esp. if those tuition increases continue. Too many people can go to college, despite tuition increases. That is the problem. The upper crust cannot tolerate this. The filthy lessers are above themselves. What is the Alabama legislature's batting average on getting things right? I would suggest that the odds favor a monumental screw up over creating a moderately successful long term program. Why are administrators paid so much? Many schools are top-heavy with them. And, of course, there are the football coaches, assistant coaches, etc. I've been told that the football programs pay for a lot of other stuff, including some of the “”academic side.” But I've never seen any hard facts on this.